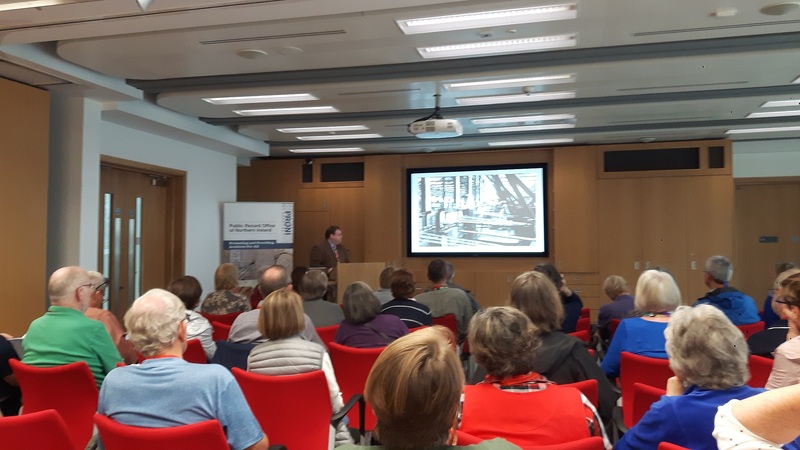 Each day of the conference presents delegates with a choice of assisted research in the archives with our team of experienced genealogists or an excursion to a place of historic interest. To uncover the history of this place when not in the archives, our extensive programme of tours throughout the week will take you through rolling countryside to sites of international renown from the Giant’s Causeway and Dunluce Castle on County Antrim’s wild Atlantic coast to the archaeological wonder which is Bru na Boinne in the tranquil Boyne Valley, to the haunting Kilmainham Gaol and Trinity College Dublin and a visit to the picturesque town of Enniskillen, Ireland's only Island town and situated in Co. Fermanagh's beautiful lakelands. 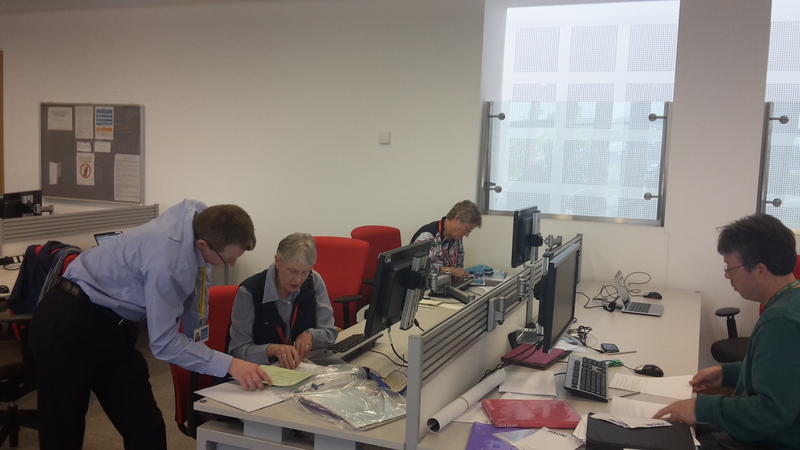 08.15 - A day of assisted research at the Public Record Office of Northern Ireland (PRONI). Delegates will explore the delights and treasures of the Ards Peninsula, beginning with a visit to the stately home of Mount Stewart, the grounds of which were voted as one of the top ten gardens in the world. After a tour of the house and some time spent walking the beautiful gardens we will then travel to Northern Ireland's first licensed distillery in over 125 years and enjoy a tour of Echlinville House, the brewing process in the distillery...as well as a drink or two following the tour. Our trip down the Ards Peninsula will then end with delegates exploring the ruins of the 12th Century Cistercian Abbey, Grey Abbey. Along with Inch Abbey, Greyabbey is the best example of Anglo-Norman Cistercian architecture in Ulster and was founded in 1193 by Affreca, wife of John de Courcy, the Anglo-Norman invader of East Ulster. Tracing Your Irish Ancestors Day 3 - Tour of the Ulster American Folk Park and Monreagh, Co. Donegal. Delegates will begin their day with a visit to the ancient capital of Ulster and a key location in the Flight of the Earls, the Hill of the O'Neill. We will then travel through Co. Tyrone on our way to visit the Ulster American Folk Park and Mellon Centre for Migration Studies. Described as 'the ultimate in living history' the outdoor museum at the Folk Park includes the famous Mellon homestead, buildings from America, an Ulster and American street and a full-scale dockside galley and ship. On the same site as the Folk Park, the Mellon Centre is a research library housing an extensive collection of materials relating to the history of the peoples of Ireland worldwide. Delegates may prefer to spend most of their time touring the Folk Park or researching at the Mellon Centre or a mix of the two. The choice is yours. 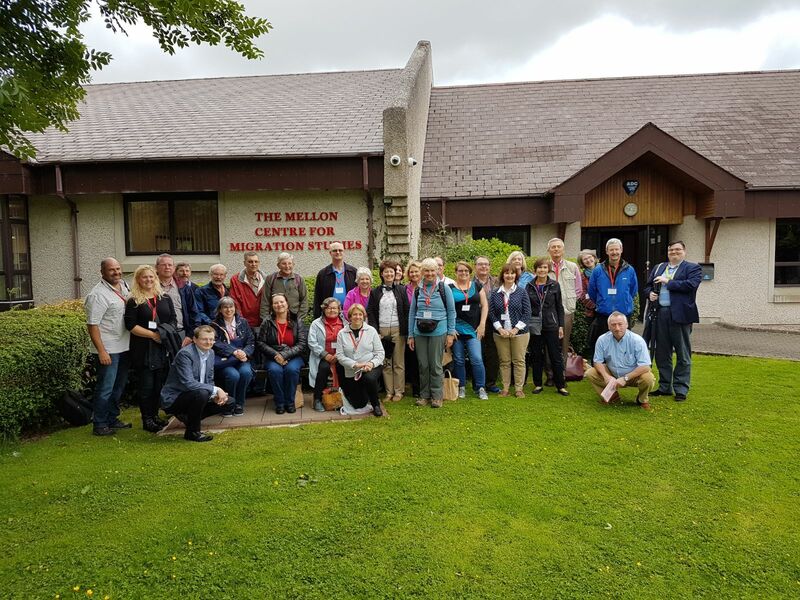 After immersing ourselves in the story of our emigrant ancestors at the Ulster American Folk Park, delegates will then make the journey into Co. Donegal to explore the history of the Scots-Irish at Monreagh Heritage Centre. This trip will end at the highest pub in Ireland, the Ponderosa, where delegates will dine in a traditional Irish pub nestled amongst the Sperrin Mountains in Co. Derry/Londonderry. 08:15 - Our journey will begin in Belfast before travelling through the Bann Valley stopping at sites central to the 1718 migration including Garvagh Museum. We will then continue through the Bann Valley towards Portrush where we will have lunch overlooking the North Atlantic Ocean. After lunch delegates will visit the iconic turreted ruins of Dunluce Castle, the inspiration of C.S. Lewis' Cair Paravel from the Chronicles of Narnia and the site of the House of Greyjoy from Game of Thrones before going on to experience the stark beauty of the Giant's Causeway a UNESCO World Heritage Site that was voted the fourth greatest natural wonder in the United Kingdom. 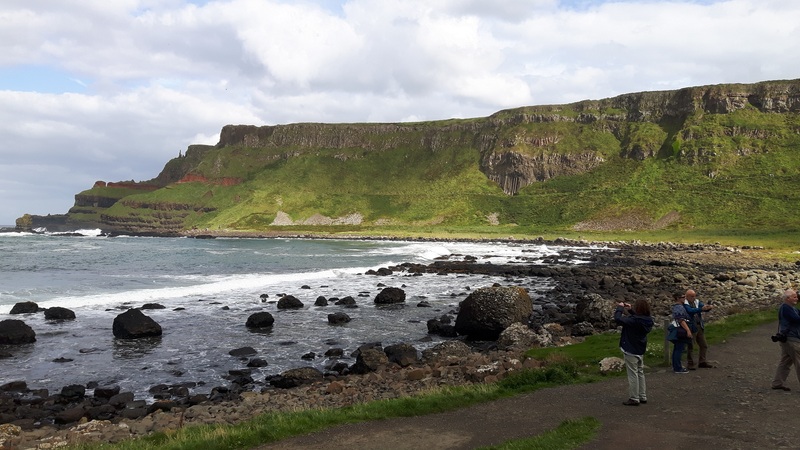 After our visit to the Causeway we will journey through the Glens of Antrim along the Antrim Coast, winding between picturesque villages and unforgettable scenic locations. Delegates will then be brought back to Belfast and have a free evening to enjoy the city. Free day for delegates to spend as they choose. Some may care to visit the church of their ancestors, explore the city of Belfast or visit the many fantastic attractions the city has to offer. A full day can be spent taking in such sites as the award winning Titanic Belfast visitor centre and the Pump House and Thompson Gavelling Dock where you can learn about the Titanic and see where the ship was actually built. You could also visit the recently refurbished HMS Caroline, a lone survivor of the Battle of Jutland in 1916. A short bus ride will also allow you to take in such sites as the Crumlin Road Gaol, the Ulster Musuem and Botanical gardens as well the Ulster Folk and Transport museum at Cultra. A visit to St. George's Market is highly recommended. Located in a charming Victorian building (constructed 1890-1896) the market is one of Belfast's oldest attractions offering delicious food, local crafts and antiques. In the evening, why not take in a performance amidst the Victorian splendour of Belfast's Grand Opera House or the recently refurbished Lyric Theatre with its marvellous views of the river Lagan and then finish off the day with a modest libation in Belfast's most famous pub, the Crown Liquor Saloon with its period gas lighting and cosy snugs. 07.15 - An Outing to Dublin with the choice of: A morning and afternoon of assisted research in the National Archives or Registry of Deeds (please note that the number of visitors to the archives is limited) of a tour of Kilmainham Gaol and Trinity College. Delegates will begin their day with a visit to Kilmainham Gaol. Now operating as a museum delegates will receive a guided tour of this forbidding bastion of punishment and correction, one of the largest unoccupied gaols in Europe. Leaders of many Irish rebellions were detained in Kilmainham including Robert Emmet and Eamon de Valera. After lunch we will then proceed to Trinity College for our tour of this renowned seat of learning, (the oldest university in Ireland) and home to the magisterial Book of Kells. This 9th-century gospel manuscript is housed in the the university's Old Library which also contains 200,000 of the library's oldest books (in the magnificent Long Room). Delegates will then have free time to explore the area near Trinity College in which Dublin's premier shopping street is located (Grafton Street) as well as visit sites such as the National Museum of Ireland, the National Library of Ireland and the National Gallery of Ireland. 18.30 - All delegates who went to Dublin will then return to Belfast for an evening meal. Delegates will begin their day with a visit to Armagh, the Ecclesiastical capital of Ireland since the fifth century. Delegates will tour St Patrick's Cathedral, one of the most important Christian sites in Ireland as well as having the opportunity to visit the oldest library in Northern Ireland, the Armagh Public Library. Proceeding through County Armagh we will cross the border before our arriving in the Boyne Valley- Irelands Ancient East. When we arrive in the Boyne Valley we will first visit the Battle of the Boyne battlefield. This site offers insight into the Williamite War in Ireland and the 1690 battle between the forces of the deposed King James II of England, and those of Dutch Prince William of Orange. After lunch we will then depart for the UNESCO World Heritage Site at Brú na Bóinne for a guided tour of the mysteriously beautiful passage tomb at Knowth. We will then leave pre-history Ireland and travel through the fabled Cooley peninsula, home to many tales from Irish folklore including the Táin Bó Cúailnge and Cú Chulainn. 18:30 - Delegates will then be brought back to Belfast and have a free evening to enjoy the city before our final day together. Tracing Your Irish Ancestors Day 8 – Tour through the lakelands of Co. Fermanagh and the Island town of Enniskillen. Delegates will journey into the beautiful countryside of Co. Fermanagh, travelling along the Lough Erne waterway and visiting Fermanagh's historic islands, including the ancient monastic site at Devenish Island. Devenish Monastic Site was founded in the 6th century by Saint Molaise on one of Lough Erne’s many islands and during its history it has been raided by Vikings (837AD), burned (1157AD) and flourished (Middle Ages) as a parish church site and St. Mary’s Augustine Priory. After our trip along Lough Erne and our stop at Devenish Island we will then have lunch before visiting the museums of Enniskillen Castle. Enniskillen Castle was originally built by the ruling Gaelic Maquires in the 15th Century and today houses Fermanagh County Museum and The Inniskillings Museum. Guarding one of the few passes into Ulster, the castle was strategically important throughout its history and has an interesting story to tell regarding the history of Enniskillen, Co. Fermanagh and Ireland. After our tour of Enniskillen Castle we will then depart Co. Fermanagh for our final meal together back in Belfast. Read what some of the participants said about our previous genealogy conferences.